"My name is Joseph Habineza. I am 54 years old and live in Karongi. This is what happened during the attack at Ruhiro mountain. After the militias attacked the home of a man in Kabuga, people started to flee. I invited around 50 people to take shelter in my home. The house was overflowing: we squeezed 15 people in one small room, 7 in another, and others around the house. I am a Christian and knew these people all my life. The Tutsi had never done anything wrong to me. I had to help them during those terrible times of genocide. We built a defense by piling up stones and rocks. The men were positioned on the hill to prevent attackers from getting close. When the militias attacked, we drove them back. Then a truck full of soldiers came with a heavy machine gun they used to kill many refugees. They arrested me, smashing my knee with an axe. I saw my leg hanging on two muscles. They raised a machete to break my back, but I moved so I only got cut. As I was struggling on the ground using my last force, they smashed me with a club. I managed to escape and went back to find my money to buy a boat to escape through Lake Kivu. I found a boat and saved four children. 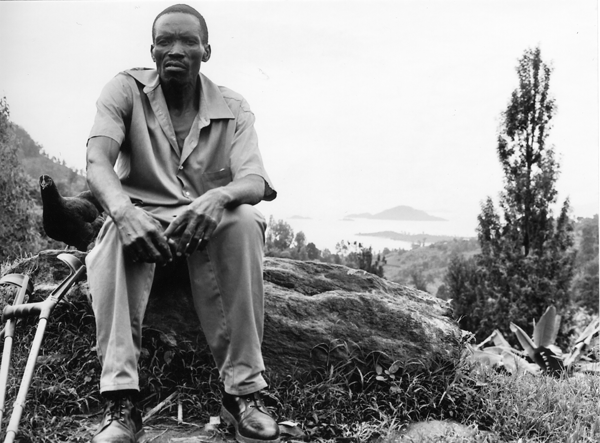 We crossed to Goma and met some Inkotanyi (Tutsi) rebels, and then we were safe."